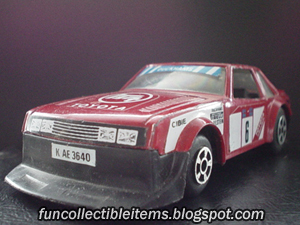 Red Toyota Celica toy vehicle. Number too large. 1972 year. 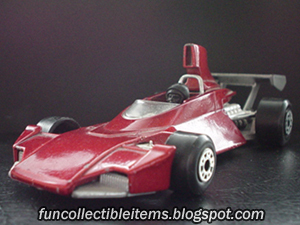 Red K-72 Brabham BT44B racing car toy vehicle. Number too large. 1976 year. 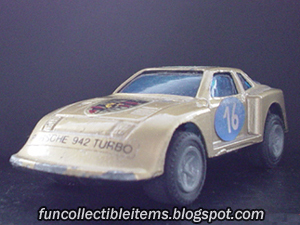 Blue NM van toy vehicle. 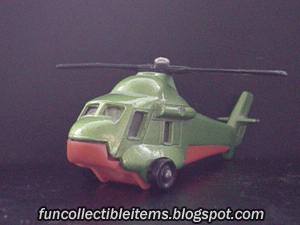 Green Chopper helicopter toy vehicle. 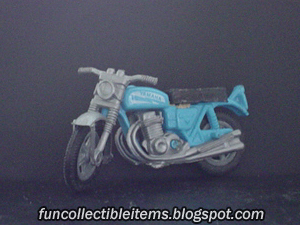 Blue Yamaha motorcycle toy vehicl. 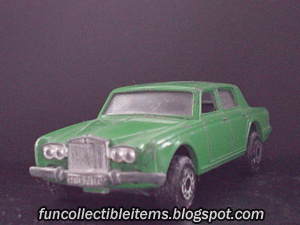 Green Rolls Royce Silver Shadow toy car vehicle. Number 24. 1980 year. 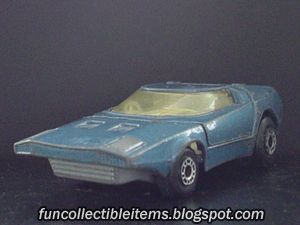 Blue Midnight Magic toy car vehicle. 1972 year. 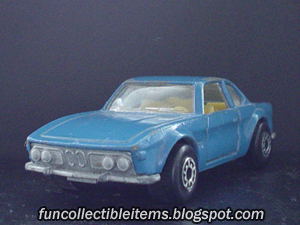 Orange Ford Cortina toy car vehicle. Number 25. 1982 year. 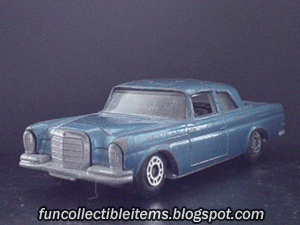 Blue Mercedes 300 SE toy car vehicle. 1965 year. 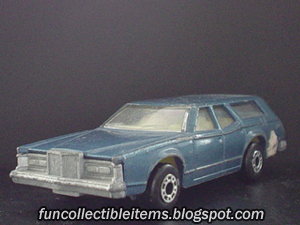 Blue Clipper toy car vehicle. Number 39. 1973 year. 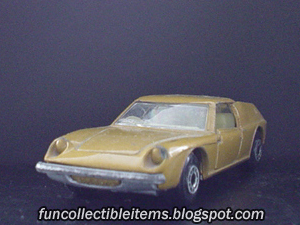 Orange Lotus Europa toy car vehicle. Number 5. 1969 year. 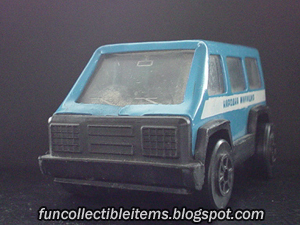 Blue BMV 3.0 OSL toy vehicle. Number 45. 1978 year. 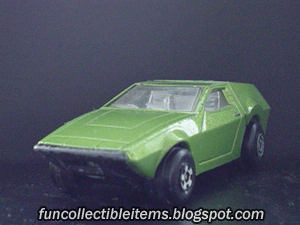 Green Midnight Magic toy vehicle. Number too large. 1972 year. 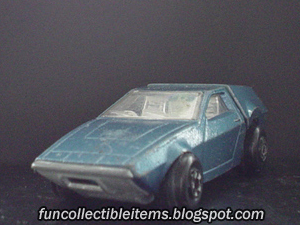 Blue Cougar Villager toy vehicle. Number 74. 1978 year.